Clyfford Still, PP-237 (Memories), 1968. Pastel on paper, 9 x 12 inches (22.9 x 30.5 cm). Clyfford Still Museum, Denver, CO. Failing, Patricia, David Anfam, Bailey H. Placzek, and Dean Sobel. 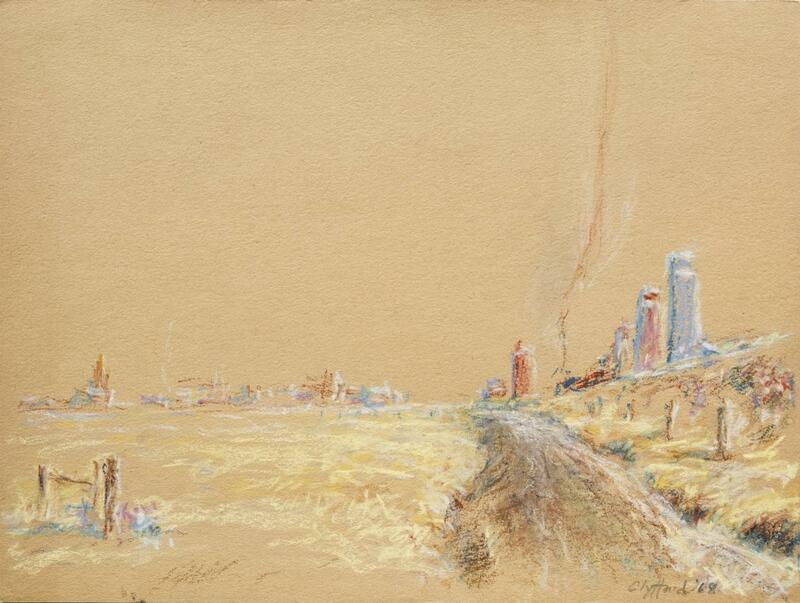 Clyfford Still: The Works on Paper. Denver: Clyfford Still Museum Research Center, 2016; ; cited in Failing, Patricia. "Rendering the Sublime." In Clyfford Still: The Works on Paper, 11–28. Denver: Clyfford Still Museum Research Center, 2016, p. 24.